Lot 46 C/I L.N.E.R. 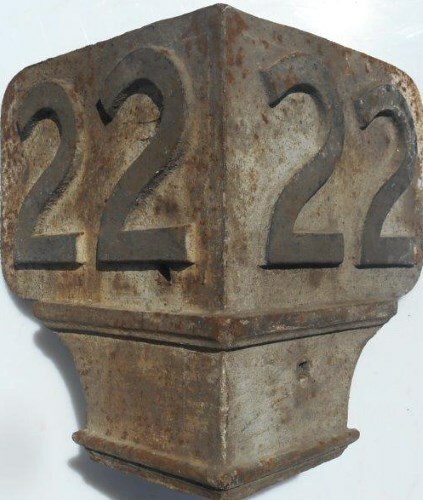 Triangular Mile Marker "22". As removed.